Cliffe first appeared on stage in 1879 in the chorus of a performance of Gilbert and Sullivan’s The H. M. S. Pinafore. His roles in Shakespeare began in 1886 when he joined the company of Wilson Barrett; he remained with Barrett’s company until 1894. 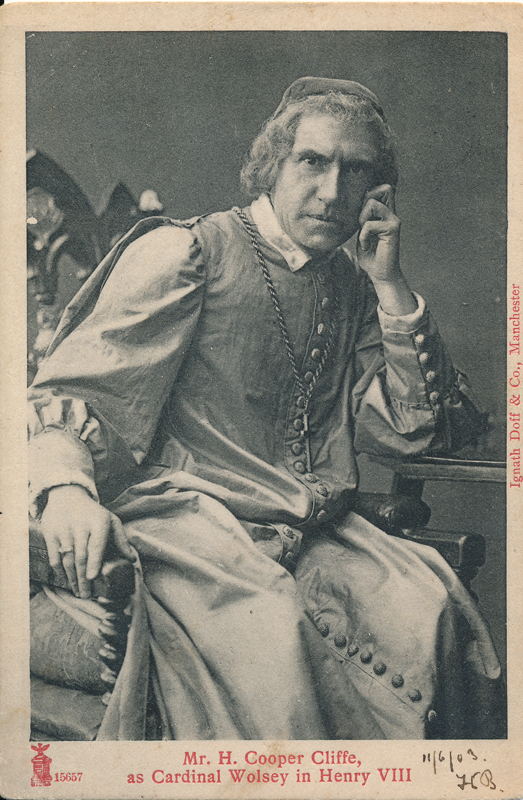 In 1896, he went to Sir Henry Irving‘s Lyceum where he played both Iachimo and Caius Lucius in Cymbeline, Clarence in Richard III, and Lorenzo in The Merchant of Venice. During his time with Irving he also played once with Johnston Forbes-Robertson in his production of Hamlet; Cliffe played Claudius. In 1900, during the Manchester theatre season he took starring roles as Benedick, Shylock, Richard III and Wolsey (Henry VIII). 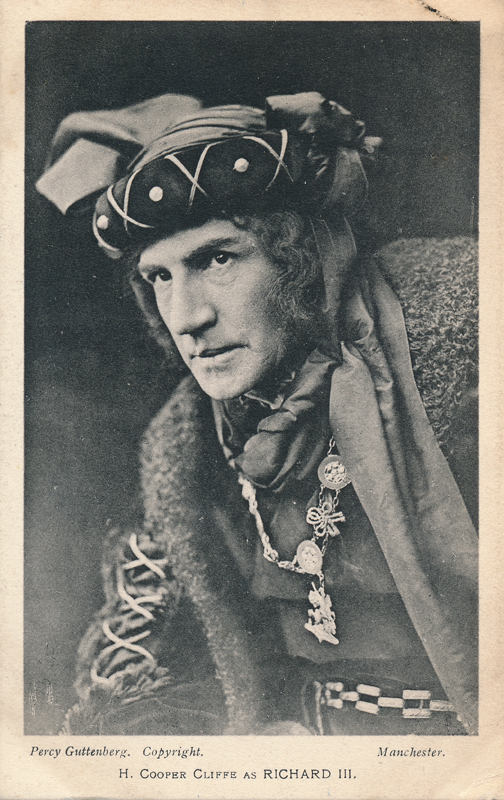 In 1907, he joined Robert Mantell‘s company and then played Antonio in The Merchant of Venice, Claudius and Iago. After that he played no more Shakespeare and last appeared on stage in 1934, five years before his death. But the stage was not his only career; between 1915 and 1924 he appeared in twenty films.